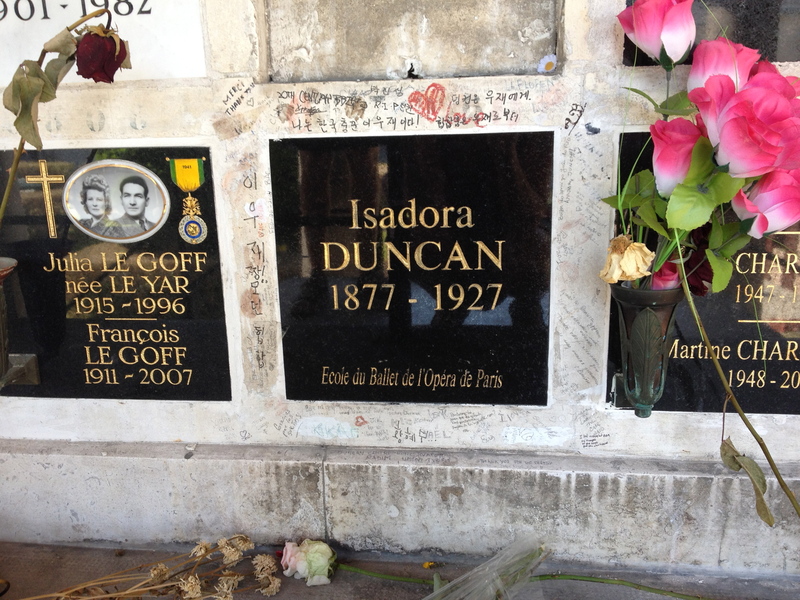 Isadora Duncan’s grave marker at Père Lachaise cemetery is covered with graffiti in a range of languages. “Thank you for the freedom,” one devotee has written. Published: May 19, 2014 Dimensions: 3264 × 2448 Posted in: Paris Gallery Post a comment or leave a trackback: Trackback URL.